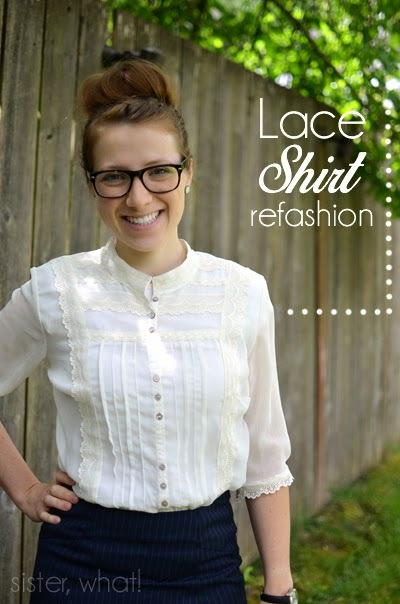 ' Lace Shirt Refashion - Grandma Style - Sisters, What! I've been trying to go through my 'clothes that need help' pile lately and I finally got to this shirt 2 years later. 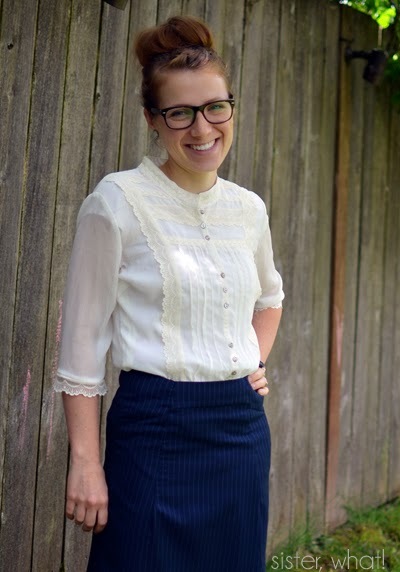 If my husband knew how long I've hoarded somethings....He also said this was kind of fancy/old for me, like something my Grandma would wear. I took it as a compliment since both my Grandmas were classy ladies and had exquisite taste. 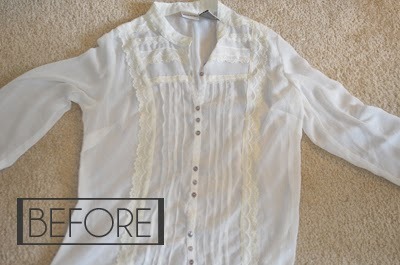 This was a fairly straight forward and SUPER quick/easy refashion. /// I laid one of my other button ups on top and pinned where I wanted it brought in. /// for the arms I wanted then 3/4 sleeves so I cut them at the elbow. 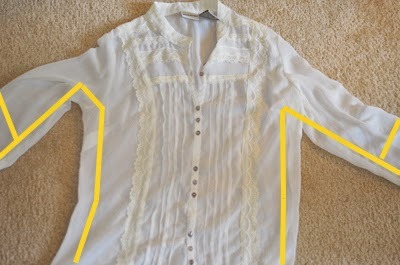 I still wanted the lace to be on the end so I cut the lace that was on the end of the sleeves and reattached it at the point I cut. And that's it. I love quick projects. I just wish I would have done it sooner. Great job! Looks very cute on you.